The Tanners were significant LDS Church critics for generations. Each had doubted the Church as a teenager. In 1958, when Jerald was 19, he was began to hold religious meetings in SLC. By this time, Jerald had aligned with Pauline Hancock’s group, headquartered in Missouri. Hancock believed in the Book of Mormon but renounced nearly all other beliefs which distinguish Mormonism from fundamentalist Protestantism. Sandra McGee met Jerald at such a meeting in Salt Lake City in 1959. They married two months after this initial meeting. Four months after their marriage, Sandra converted to evangelical Protestantism. Both resigned their membership one year after they married in 1959. Sandra was 18 when she was married and 19 when she left the Church. Jerald was 21 when they married and 22 when they left the LDS faith. Another important transition in the Tanners’ career came in 1964 when Jerald quit his machinist job to devote his full time to their anti-Mormon publishing. That work has always been conducted on a shoestring and threatened with closing, due to Jerald’s ill health and the recurrent shortages of funds. Originally, they were known as the Modern Microfilm Company. In 1983 they incorporated into the non-profit, Utah Lighthouse Ministry, Inc. Their organization has disseminated LDS-critical material since the early 1960s. Their goal is to lead Mormons to the true Jesus. That was the trendiest option to Mormonism at that time: call Mormons to return to the biblical Jesus. When his research increasingly showed him that Joseph Smith had flaws, that the eternally true (and some assert, changeless) Church had in fact changed, and that Mormon leaders had sometimes made mistakes, even very serious ones, he was furious. He felt that he had been cheated — sold a bill of goods — that the Church had willfully lied to him about matters of the highest importance. Not only did the emperor have no clothes, but the Mormon Church had sold them to him! These quotes are from a non-Mormon commenting on the Tanners in their heyday, in 1984. So, two teenagers have unrealistic expectations and make a career out of them. Bad scholarship. More from Foster on possible motive. Foster is an interesting scholar, taking on Mormon critics when most non-Mormons don’t bother to investigate. “As described in the Faulring interviews with Sandra Tanner, Jerald’s family life seems to have been filled with stress. Both he and his family appear to have been isolated from many positive aspects of Mormon culture. 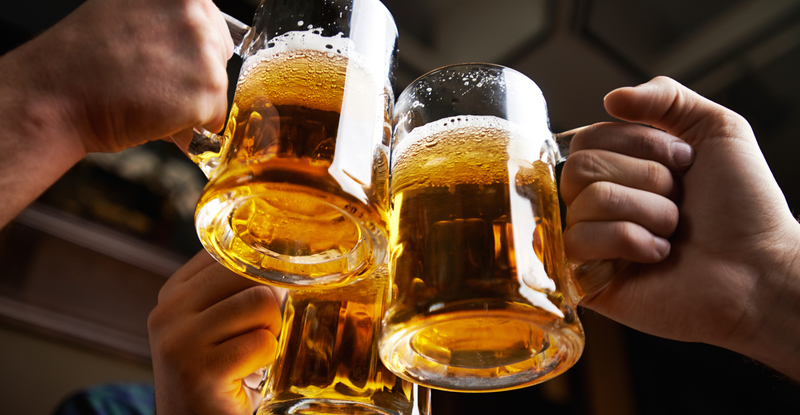 His father developed a drinking problem, Jerald himself, during his teenage years, began to drink so heavily that for a time he feared that he might become an alcoholic. Some of Jerald’s Mormon friends also were outsiders who drank and did not conform to the ideal pattern which the Church has sought to develop. 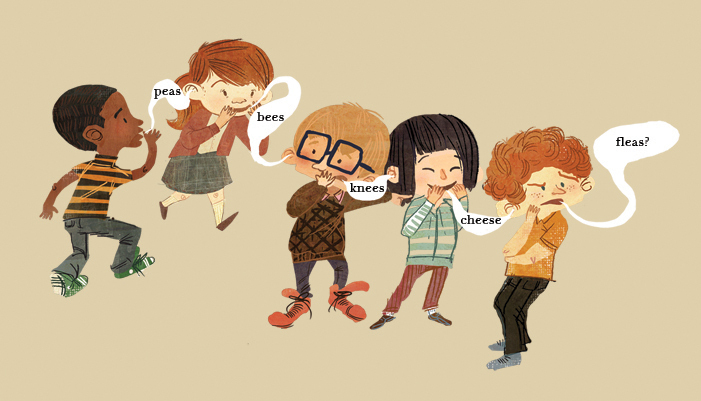 Quite possibly Jerald’s failure to find satisfying social contacts in the Mormon Church contributed to the deep bitterness which he eventually developed toward it. Why Jerald is more hostile to social aspects of Mormonism makes more sense now, doesn’t it? Neither individual alone could have been as effective; together they have compensated for each other’s weaknesses and have developed a remarkably strong partnership. Jerald, an intense and almost painfully shy man, is primarily responsible for the research and writing. His own drive, more than any other factor, sustains their operation. Whether Sandra would even have become an active anti-Mormon had she been by herself is open to question. “…the Tanners are critical of what they term the Mormon “suppression” of documents and evidence for a very different reason: they believe that the full record of Mormonism, if it could be made available, would utterly refute the Church’s truth claims and lead to the destruction of the faith. In general, the primary goal of the historians has been to understand and appreciate the remarkably complex and multi-faceted movement that constitutes Mormonism. Toward that end, Mormon historians, like historians in all fields, seek to sift through all pertinent evidence in order to reconstruct the fullest possible picture of the past and its significance for the present. Both positive and negative factors are candidly considered in trying to come to a realistic understanding of Mormon development. By contrast, the Tanners sound like high-school debaters. 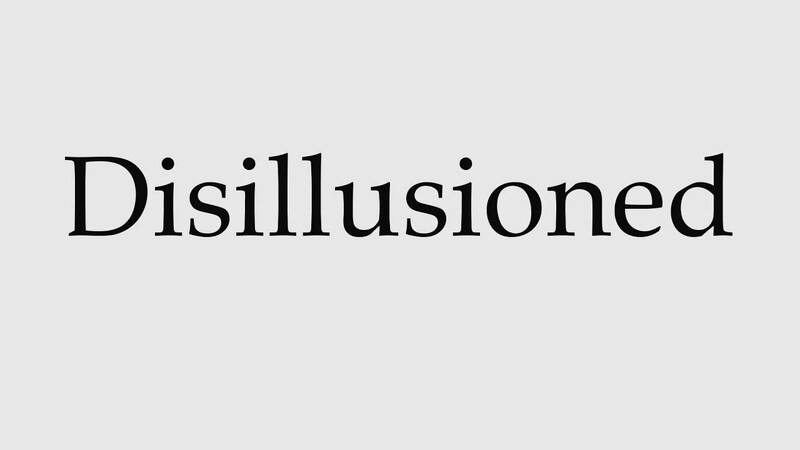 Every bit of evidence, even if it could be most plausibly presented in a positive way, is represented as yet another nail in the coffin being prepared for the Mormon Church. 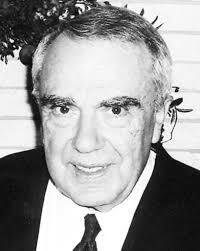 There is no spectrum of colors, only blacks and whites, good guys and villains in the Tanners’ published writings. remaining — and in their eyes insurmountable — Mormon deficiencies. All too often, the Tanners’ work thus simply provides a mirror image of the very Mormonism that it is attacking. The Tanners faded from prominence with the arrival of Ed Decker (above). Ed published the over-the-top (but founded on Tanner scholarship) God Makers in 1982. 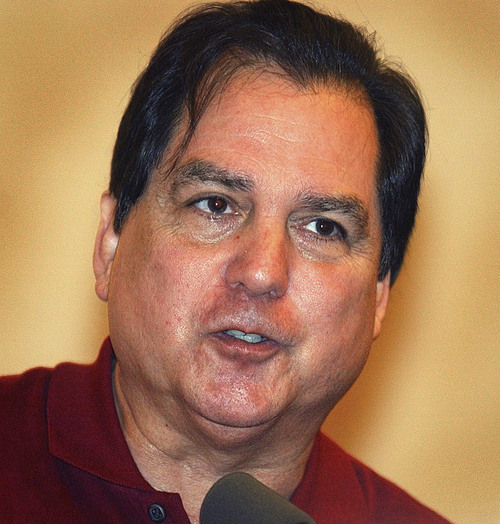 Newer critics — John Dehlin and others, including Runnells — didn’t surface till the 2000s and recently. Dehlin (below) and Runnells do what is trendy today: believe in secularism and no God. But they, too, rely on Tanners’ scholarship. Nobody else but the Tanners copied (without permission) from LDS archives and started a “ministry” for Mormons. Ex-Mormons almost always rely on Sandra Tanners for their material. Even Ed Decker used that argument — the Tanners are awesome scholars — in his God Makers’ series. Problem with Decker’s claim: it’s simply not true. The Tanners fail when it comes to honest scholarship. Gilbert Scharffs wrote this LDS Church-supporting book, “The Truth about the Godmakers” in 1986. I’ll quote from Scharffs’ book below. By the way, reading this book (published in the 80s) today is almost as good as any of the current books defending the Church. That is how old nearly all the critics’ claims are! Decker’s claim: “Jerald and Sandra Tanner are former Mormons who have established an international reputation for their impeccably accurate and thorough research,” claim the authors. Scharffs’ response: quotes Lawrence Foster, a professor of American history at Georgia Tech, a scholar who is non-Mormon and who has spent decades in intensive work on Mormonism. 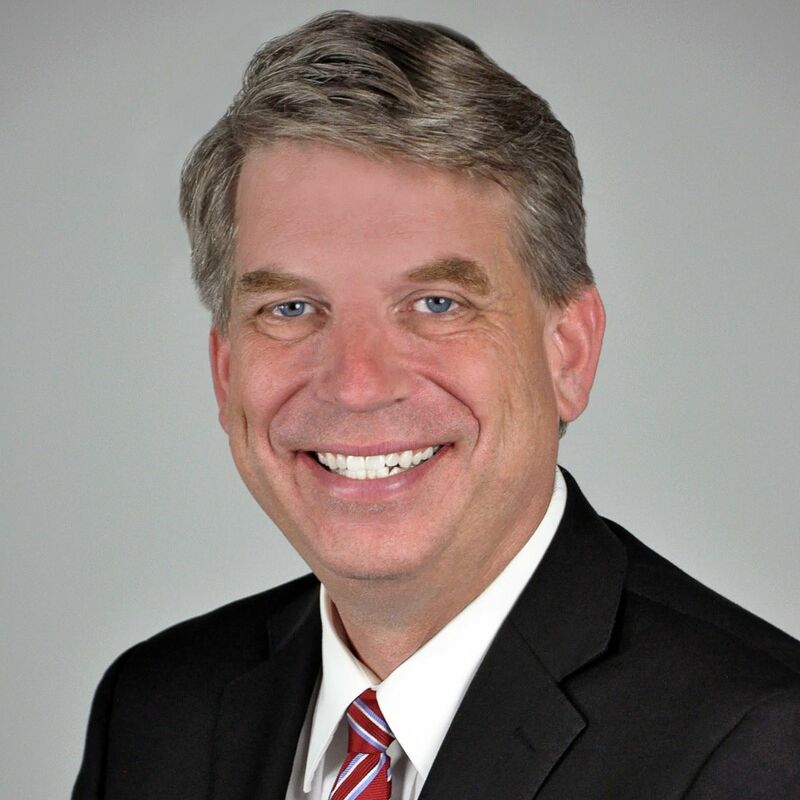 Foster has even served as President of the 1,000-member Mormon History Association (although he is not a Mormon), and he has received an NEH Fellowship and a Fulbright Fellowship to Australia and New Zealand. Foster also quotes from another Tanner critic who said, Jerald and Sandra Tanner have read widely enough in the sources of LDS history to provide that [larger] perspective, but they do not. Although the most conscientious and honest researcher can overlook pertinent sources of information, the repeated omissions of evidence by the Tanners suggest an intentional avoidance of sources that modify or refute their caustic interpretation of Mormon history (“Career Apostates,” Dialogue, Summer 1984, pp. 35-60). 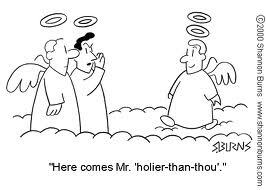 This isn’t a Latter-day Saint condemning the Tanners. This guy Foster is a non-LDS scholar who made a career out of studying Mormonism. He’s fair. Not an ideologue. As a non-Mormon scholar who has spent nearly a decade of intensive work in Mormon history without becoming either Mormon or anti-Mormon, I believe that I am in a particularly advantageous position to suggest some new perspectives on the Tanners and to present a balanced analysis of the strengths and weaknesses of their work. Foster will be shunned by most colleagues if he grinds an axe. Good scholars aren’t dogmatic. Not against the Mormons. Not against any minority or other group. Anti-Mormons don’t always follow the same academic standards as those in the academy (American universities). If you think you can trust the Tanners’ research methods you might be in for a disappointment. 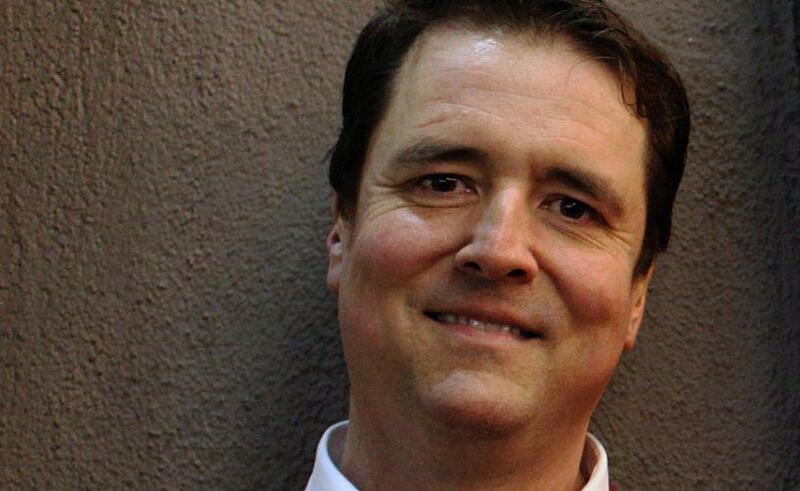 If you think you can trust what John Dehlin and current critics share — warmed-up Tanners’ research — with his listeners (he runs a podcast, unabashedly asking for donations) I wish you good luck. You’d be better served listening to this fellow below, Lawrence Foster (link to bio above) who doesn’t believe in the First Vision, but is at least fair to our history. Below are a few archived FARMS articles about the Tanners from decades ago. Bad scholarship is the hallmark. Matt Roper responded to a very long list of Tanner criticisms: Review of Jerald and Sandra Tanner, Answering Mormon Scholars: A Response to Criticism Raised by Mormon Defenders. 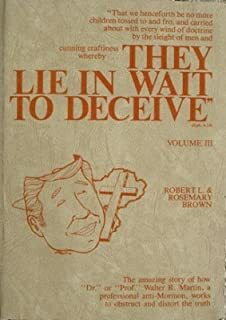 Robert and Rosemary Brown wrote this book in 1986 about LDS critics: They Lie in Wait to Deceive. Volumes 1 and 4 address the Tanners specifically. Michael Quinn, a historian and former member of the LDS Church, takes issue with the Tanners’ work. Quinn, an ex-communicated former member, still points out bad scholarship when he sees it. 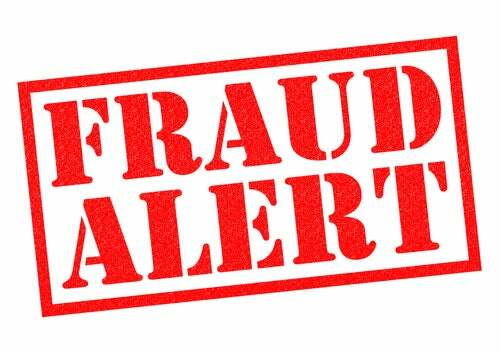 To their credit, The Tanners have debunked what they characterize as misrepresentations of the LDS Church by Ed Decker, a Christian evangelist. They criticized his film The God Makers II, despite their involvement in his earlier film, The God Makers. So, if you’re seeking information about the LDS Church you might want to find other sources than the Tanners. 1) CES Director Answered Jeremy in the 80s. 2) “The God Makers” Births CES Letter, part 1 and 2. 1) A CES Director Answered Jeremy Runnells in the 80s. 2) “The God Makers” series Births the CES Letter, part 1 and 2. 1) So, I exaggerated for effect. An institute teacher (not CES director, but close enough, right?) wrote this book, setting the record straight against the critics in the 80s and 90s — long before Jeremy Runnells lost his faith and created his CES Letter. Scharffs provides some of the best responses to critics I’ve heard. Jeremy doesn’t seem to have read much critical information before his world view was challenged. Too bad, as these books were in circulation for decades to many who sought answers. 2) Jeremy’s material he squeezed into the CES Letter was passed down from generation to generation (within the anti-Mormon community) from Ed Decker to him. Scharffs answered all those questions in the 80s. Jeremy should have simply read the blue book above. Too bad he didn’t before he had his faith crisis. 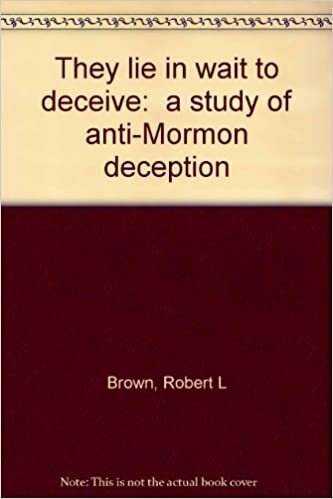 Another book Jeremy could have read — also from the 80s, but not from a CES employee — is “They Lie in Wait to Deceive.” LDS apologist, Robert Brown, wrote this book in 1986 about LDS critics. Volume 1. A detailed look at the antics of “Dr.” or “Prof.” Dee Jay Nelson and his crusade against the Book of Abraham, as well as some enlightening information about the work of Jerald and Sandra Tanner. Volume 2. Learn the truth behind well-known anti-Mormons such as “Dr.” Walter Martin, Wayne Cowdrey, Howard Davis, and Donald Scales. Volume 3. This is the magnum opus on the works of the late “Dr.” Walter Martin, a radio personality who would often use his pulpit to denegrate and deride the LDS faith. Volume 4. Focuses on the efforts of professional anti-Mormons such as Ed Decker, Richard Baer, “Dr.” Richard Fales, “Dr.” Charles Crane, and “Dr.” John L. Smith. Also includes additional information on Jerald and Sandra Tanner. Some of you may not know about the God Makers or previous generations of anti-Mormons. We’ve had them since 1834 when “Mormonism Unvailed” was published by Eber D. Howe. Yep, awesome name! Eber. 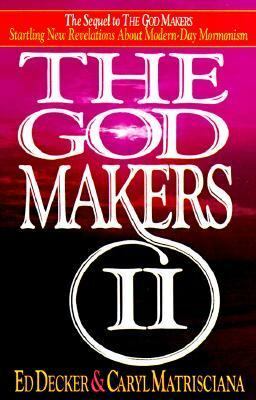 I had heard about the movie and book, “The God Makers”, growing up. Like most Mormons, I had heard bits, but didn’t really know what it was about. What I did know, for sure, was that the author didn’t like our Church. During graduate school I had the opportunity to learn about the God Makers from a faithful source. 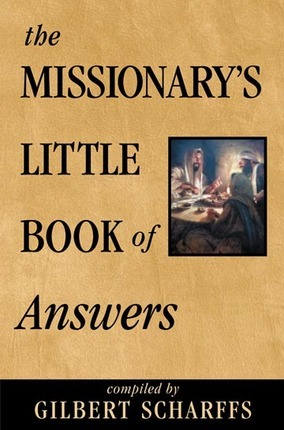 The author above, Gilbert Scharffs, wrote a well-researched book for inquiring Latter-day Saints. Scharffs first published the book in 1986. My home teacher loaned me this book in the summer of 2003. This home teacher — someone I served in the nursery with then — knew lots of answers to “controversial” topics. I borrowed around 15 books. I had a few weeks off that summer and read. A lot! Gilbert Scharffs (above) was a University of Utah institute teacher at the time. He spent countless hours on this book. I and many Latter-day Saints benefited from his efforts. I learned a lot and put the concerns I had relative to the God Makers to rest. I thought I had heard the last of anti-Mormon literature. Boy, was I wrong. Critics keep making new books, new pamphlets, videos, and PDF files. Along came the CES Letter. I first heard of it 2.5 years ago. Some of the CES Letter issues seemed new (when first told to me by someone on an airplane), but most of what I heard didn’t surprise me. I wasn’t polished up on the material, but I knew I had passed through a majority of those issues before and came out just fine. Every generation will have it’s Fawn Brodie (above). Its Ed Decker. It’s Jeremy Runnells. Some critics last decades. Some disappear quickly. It appears now we have multiple critics competing in the same space. And, yes, they’re competing for ex-Mormon and anti-Mormon dollars. In the last 2.5 years I’ve read lots and lots about all the “controversial” stuff. I’ve posted well over 100 times here on this site. About a year ago — and before I started blogging here — I found and read (on the FAIR site here) the online version of The Truth about the God Makers. 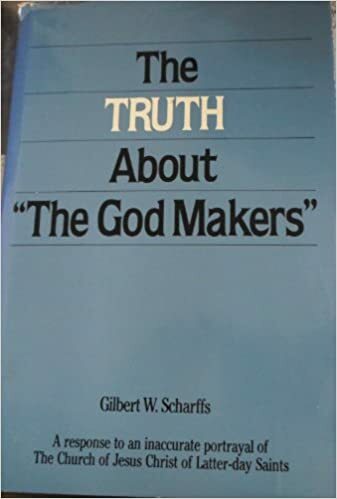 When I started reviewing Gilbert Scharffs’ response to the God Makers a couple years ago, for the first time I saw that Gilbert also wrote other books . Including one for missionaries. This book prepares missionaries for the huge range of critical issues. This book has been selling at Deseret Book for decades. Read it and give it to others. This information should be understood by all Latter-day Saints. Not only the apologists. It’ll help prevent your testimony and faith from being fragile and shaken when winds blow. As I compared the CES Letter to the Godmakers, I realized the CES Letter had virtually nothing new. Style and organization was different. Tone was different. Ed Decker — who wrote the God Makers in the 80s and carried the critics’ torch for 2 decades — was more mocking in his style. Decker constantly mocked temple ordinances, concepts of deification, and the planet Kolob. The CES Letter’s victimizing, they-lied-and-hid-stuff-from-me tone is a new style. But Decker’s list — the overall substance of his critique — was very much the same as Jeremy’s. I just reviewed “The Truth About the Godmakers” last night for 2+ hours. I saw the following topics and included them in the post below: seer stones, BofM historicity, KJV Isaiah in the Book of Mormon, View of the Hebrew and B.H. Roberts, Joseph’s magical world view, “issues” with the witnesses, Strang Plates, Kinderhook Plates, and more. Scharffs (LDS author) had good arguments against the God Makers. Some were the best I’ve seen on certain topics. It was a great review! If members had encountered this book — The Truth about the God Makers or similar books — and prepared themselves, the CES Letter would have washed right over them. What will the next generation of ex-Mormons say? The Church lied and hid stuff? Everything is now online. The Church has been putting its history online for years. The Joseph Smith Papers project started in 2001, and presents mountains of information about the Prophet. I often ask critics if they heard of the Godmakers. They usually make insulting remarks toward Ed Decker. When I ask them the material (not style) differences between Ed and Jeremy they have no answer. They often say I’m obsessed with Ed. I’m not. Just connecting obvious dots in the ex-MO family tree or history. Where did the ex-Mormon subreddit group — where Jeremy Runnells crowdsourced the CES Letter — get their content? Yep. Ed Decker and the Tanners. Critics mock Ed Decker but usually praise the Tanners. The Tanners were plagued by bad scholarship, though not to the level of Decker. Lots of omissions, withholding exculpatory information, out-of-context statements, and always the least favorable conclusion from the data. Yes, emotional and agenda-driven “research”. Jeremy (above) learned well from his mentors. Mormons that learned this material in past decades must be aghast that any youth and others today gobble up this nonsense. The real issue is that more Mormons are ready to leap into new atheism than evangelical (or other forms of) Christianity. Secularism is taking these people. Just yesterday I was told that Jeremy had published the CES Letter 2.0. That reminded me of Ed Decker’s Godmakers II. Arguably, Ed’s low point. The authors make so many outrageous claims, even anti-Mormon Sandra Tanner condemned their sequel. Below I’ll list some of Decker’s claims and Scharffs’ responses. Click the link above to read as much as you want. See for yourself just how “shocking” this material is. If only Jeremy had known more about past ex-Mormon history before he jumped into this material on reddit. And was quickly overwhelmed and drowned. Decker: “Jerald and Sandra Tanner are former Mormons who have established an international reputation for their impeccably accurate and thorough research,” claim the authors. Jerald and Sandra Tanner have read widely enough in the sources of LDS history to provide that [larger] perspective, but they do not. However many faults the Tanners have, the authors of The God Makers have outdone them by far. Much of The God Makers is based on the Tanner material, including wrong interpretations. Some anti-Mormon charges which the Tanners published have turned out not to be true. [∗] For example: For years one of their star witnesses was “Dr.” Dee Jay Nelson who claimed to be an Egyptologist. He did not get a degree or even attend the Oriental Institute at the University of Chicago as he alleged, nor did he ever—as he claimed—attend or get an M.S. in Egyptology from the University of California at Berkeley. For a thorough analysis of the background and tactics of Dee Jay Nelson, see Robert L. and Rosemary Brown, They Lie in Wait to Deceive, Vol I, and Vol II pp. 165-213. Topic debunked at the top of this page. The authors give no explanation why Oliver Cowdery, disgruntled with Joseph Smith for several years, did not expose the “scam” or why he eventually came back into the LDS Church in 1850. This, of course, is wrong. Christian and Peter Whitmer remained until their deaths. The authors also fail to mention that two of the “three” witnesses returned to the Church—Oliver Cowdery and Martin Harris. Nor do the authors point out that those leaving the Church consistently continued to affirm their testimonies of the Book of Mormon. The available evidence points to the opposite conclusion and has been treated thoroughly elsewhere. (See Richard Anderson, investigating the Book of Mormon Witnesses). Martin Harris was perhaps the most prosperous man in Palmyra, twice the age of Joseph Smith, at the time the Book of Mormon came forth. Why would he risk his reputation supporting a youngster if the authors’ charges about Joseph Smith and his family were true? He traveled to Salt Lake City in 1870 and rejoined the LDS Church. Oliver Cowdery was reliable enough to be a schoolteacher and successful lawyer, and at one time. Assistant President of the LDS Church. 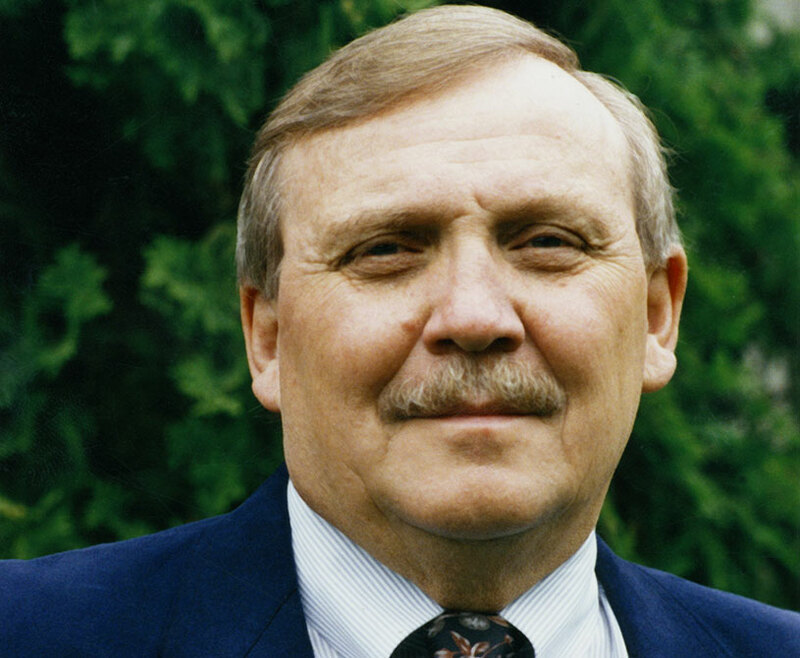 David Whitmer became a respected community leader in Richmond, Missouri, and the town’s leading citizens attested to his reliability and character prior to his again reaffirming his Book of Mormon testimony (Ibid.). An objective study of the witnesses to the Book of Mormon reveals men of strong character. The footnote refers to the Max H Parkin “Conflict at Kirtland” thesis, pp. 82-83. 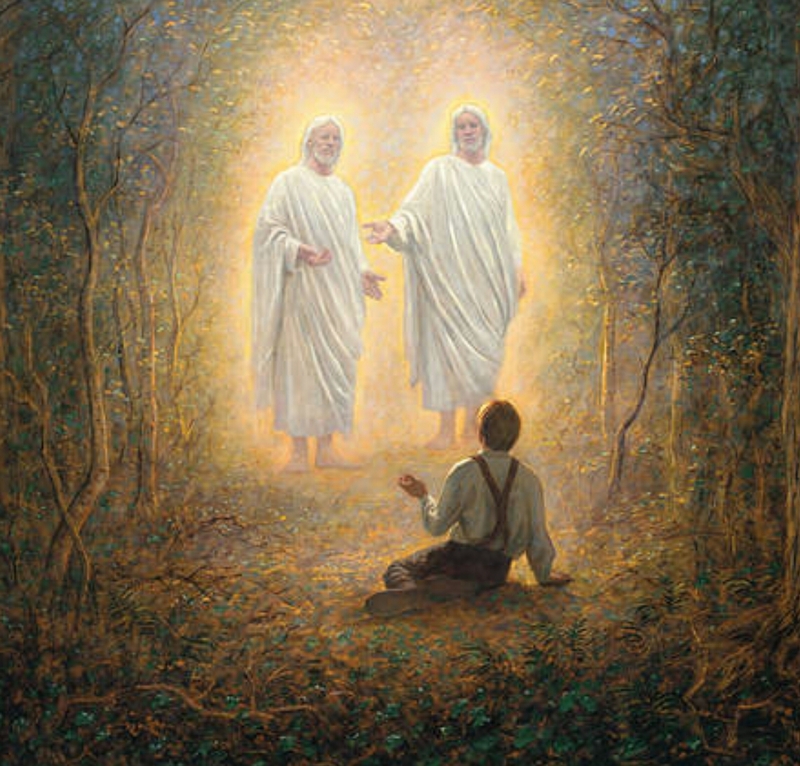 Dr. Parkin’s quotation from the Mary Elizabeth Rollins Lightner diary does not say that Martin “saw” Jesus, but that Joseph Smith on this very spiritual occasion asked the group, “Brothers and Sisters, do you know who has been in our midst this night?” Martin Harris then replied, “I know, it was our Lord and Savior, Jesus Christ.” Joseph then said to Martin Harris, “God has revealed that to you.” When God reveals something to a human being it does not usually include physical evidence; nevertheless, the authors claim that Martin Harris on this occasion actually claimed he “saw” God. From the reading of the quotation one cannot conclude this. When Christ in the New Testament said to the Twelve, “I am with you alway, even unto the end of the world” (Matt. 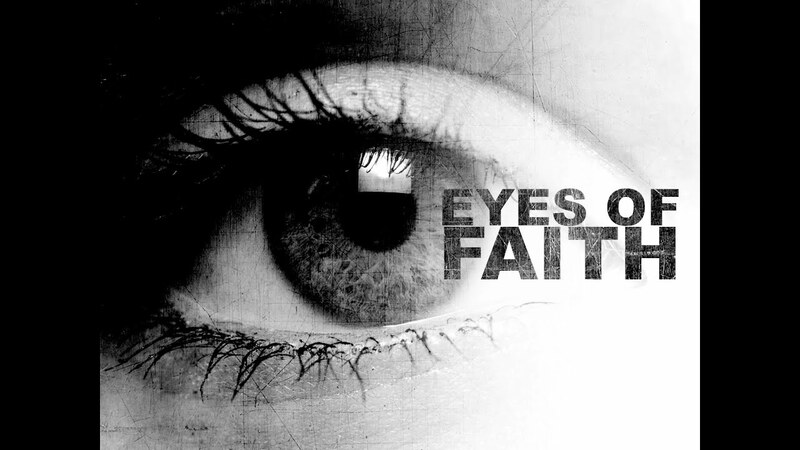 28:20), he did not mean that each of the Twelve would constantly see him with their physical eyes. But Christ can be perceived in our midst and this is what the journal entry is referring to and not a physical sighting of Christ. There is no documentation. Richard Lloyd Anderson points out the errors of this accusation in his Investigating the Book of Mormon Witnesses, pp. 168-169. He gives evidence that the alleged thirteen religious changes of Martin Harris are overstated. 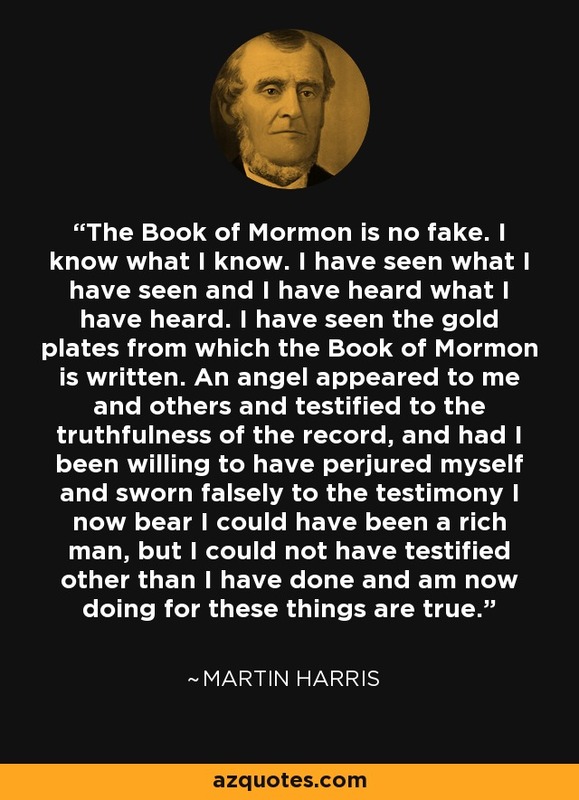 Out of touch for decades with mainstream Mormonism because he did not move westward with the body of the Church, Martin Harris was subject to differing influences in his desire for supportive religious affiliation. 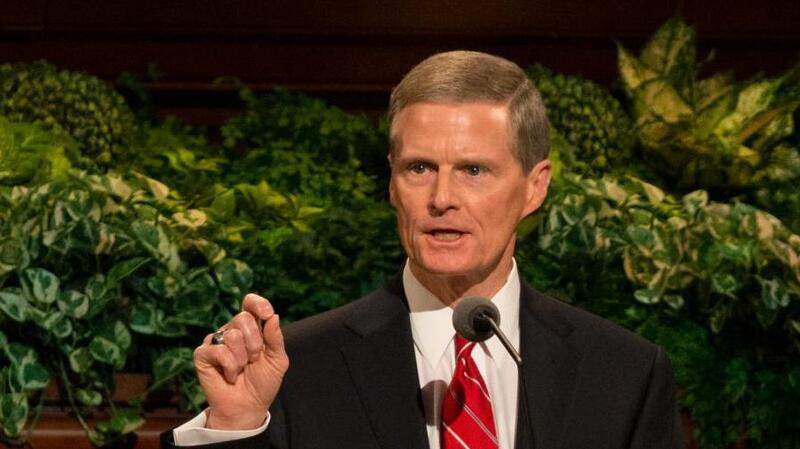 Nevertheless he never denied his testimony of the Restoration, and he made only one religious change after his excommunication that was not with some Mormon-oriented group. Richard Anderson has also called the charges of Martin Harris’ early religious affiliations, before joining Mormonism, exaggerated and from a bitter anti-LDS source. The authors, as before, make no mention of Harris’ migration to Utah in 1870 to join with the Latter-day Saints, where he often repeated his testimony of the Book of Mormon until his death five years later in 1875. “Some of these groups were very similar to Mormonism,” the text states to show Mormonism was not unique. As an example the book uses James Strang as having similar ideas in his movement. One would expect an offshoot to be somewhat like the group it broke away from. If objectivity were the purpose of the book, at least the word “living” should be used in connection with these witnesses since more than half of the original eleven had died by this time. Also, why is it not pointed out that all soon left Strang’s movement? So far the authors have mentioned only one possible book. View of the Hebrews. Why is there no documentation for the “others”? 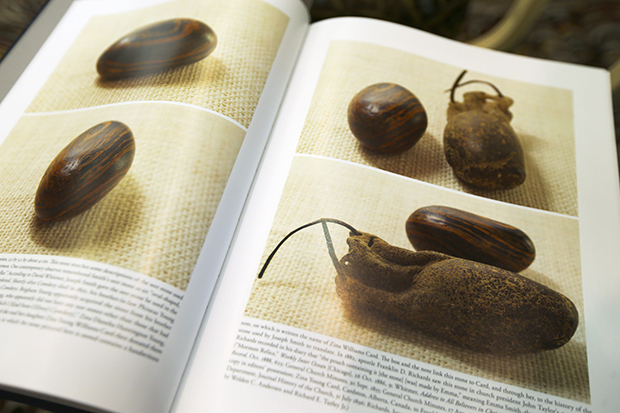 If Joseph plagiarized, why did he need a “peep stone”? If Joseph Smith’s work is satanic, why did he have to plagiarize at all? Wouldn’t Satan reveal all the “lies” necessary? Elsewhere (page III; 13-15) the authors say the Book of Mormon came from Joseph Smith’s fertile imagination. It is not consistent to say he made it up, and that he plagiarized it, and that it came from Satan. 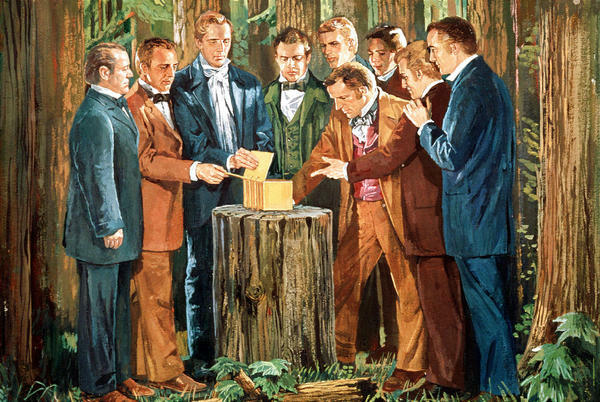 The authors break rules of logic in dealing with Joseph Smith. 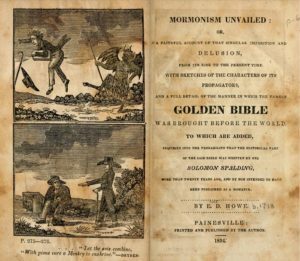 “There were so many strange visions and so much weird behavior among the early Mormons’ the book claims citing some reliable, some questionable, and often no sources. The book attributes some of the “strange” occurrences to satanic influence. Of course the scriptures speak of “wonders and signs” in connection with God also. “And these signs shall follow them that believe” (Mark 16:17) and “many wonders and signs were done by the apostles” (Acts 2:43). The scriptures do warn of “false prophets and . . . signs,” (Matt. 24:24) and the authors of course charge that everything LDS falls into this category. One of such signs the authors make light of is quoted from Max Parkin’s thesis. Conflict at Kirtland: “Old Elder Beamon, who had died a few months before, was seen” (p. 331). However, the authors omit John Pulsipher’s previous words: “They worked and prayed and the Lord worked with them.” What is spiritual to some is considered “magic and demonic” by others. The spiritual experiences of the “Early-day Saints” in the New Testament are also considered “strange and weird” by the nonbelievers. Do the authors also discredit the biblical events that seem strange? What right do the authors have to take what is sacred to millions and falsely call it strange, weird and satanic? The authors would do well to ponder the Prophet Nephi’s words in the Book of Mormon: “\ do not write anything upon plates save it be that I think it be sacred . . .. For the things which some men esteem to be of great worth . . . others set at naught and trample under their feet” (I Nephi 19:6-7). Doesn’t every first edition have errors? 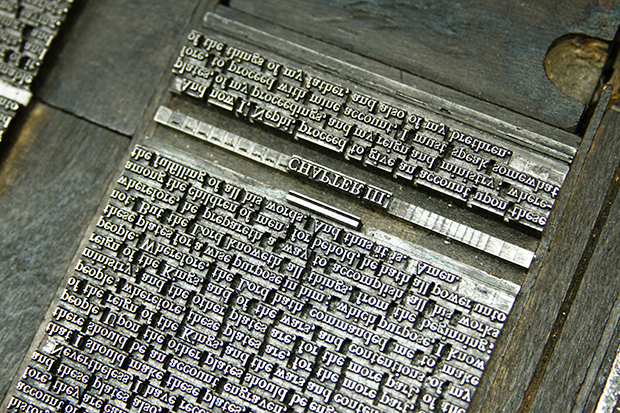 All books typeset from handwritten manuscripts, as the Book of Mormon was, have many errors. Even with today’s advanced publishing methods, trained writers, proofreaders, word processors, computer programs that correct spelling errors, first editions usually have more errors than later editions. But the Book of Mormon manuscript given to the printer was a longhand copy of a longhand copy. Evidently, no proofreaders were used except what the printer did. Ninety-nine percent of the original edition of the Book of Monnon has not been changed. Indeed, 4,000 changes seem amazingly few. Also, when one realizes the duress Joseph Smith worked under, with mobs frequently trying to get the plates, his printer being threatened, his having to move his residence more than once to avoid physical attack, having the first 116 pages of manuscript stolen and never retrieved, it is indeed amazing that such a monumental book could be produced in such a short time. As Dean Jessee has pointed out, “Every time the Book of Mormon comes under attack, it calls to our attention even more proof that Joseph Smith told the truth” (Ensign, September 1977, p. 95). The Book of Mormon is undoubtedly one of the most scrutinized books in history. The results of that scrutiny point to its authenticity. The correction of typographical errors and some clarification changes do not detract from the reality of the Book of Mormon. That certainly is true when one considers the eternal inspiring truths to be found in it, both those that are unique and those that offer clarification of religious principles found elsewhere (see “Overview” Section). When King Jehoiakim in the Bible burned the scriptures that Jeremiah had dictated, the prophet dictated them a second time, “and there were added besides unto them many like words” (Jer. 36:32). It is interesting to note that Ernest Hemingway rewrote The Old Man and the Sea forty times. “[Rejecting the Trinity] required many ‘corrections’ to the Book of Mormon. First Nephi 13:40, for example, which read in the 1830 edition ‘. . . that the Lamb of God is the Eternal Father and the Savior of the world’ was changed to read ‘that the Lamb of God is the Son of the Eternal Father.’ ” . According to LDS doctrine, this is not a problem. To Latter-day Saints, it is appropriate to refer to the Savior as Christ the Eternal Father but this in no way makes Him the same as God the Eternal Father. To Latter-day Saints both Christ and God may be appropriately called Eternal Father: “Ye shall be my sons and daughters, saith the Lord” (2 Cor. 6:18). Thus the addition of “son of” to the phrase “Eternal Father” was a clarification that Christ was being referred to in I Nephi 13:40 and the other three examples cited in the authors’ note 41. The authors claim that the “declaration in the introduction of the Book of Mormon that its purpose is to convince ‘Jew and Gentile that Jesus is the Christ, the Eternal God’ [was] . . . apparently overlooked and left unchanged.” The authors misinterpret the point, because in the introduction, Christ the Eternal God cannot be confused with Christ the Eternal Father. Both Christ and God are separate Gods to Latter-day Saints and a clarification was not necessary. In I Nephi 13:40 and the other verses cited, Joseph Smith apparently felt clarification would be needed. But this change is not related to a doctrinal change in the verses nor an accidental omission in the introduction. Neither pray I for these alone, but for them also which shall believe on me through their word. That they [the believers] all may be one) as thou. Father, art in me, and I in thee, that they [the believers] also may be one in us . . . that they may be one, even as we [God and Christ] are one. Four Book of Mormon passages pointed out in the book do sound more like John 10:30 in the first edition and in subsequent editions they sound more like John 17:20-22. 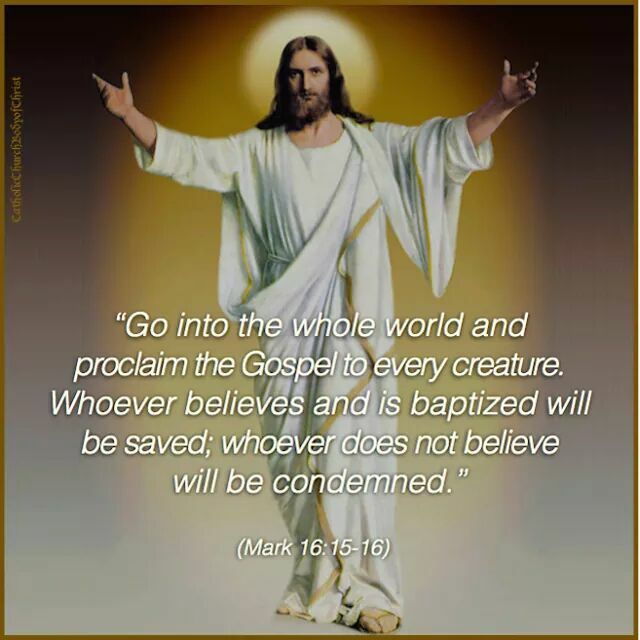 However, the doctrinal meaning is the same, and not different, as the authors charge, just as John 10:30 (“I and my Father are one”) and John 17:20-24 (“that they may be one, even as we are one”) must mean the same or the biblical doctrine would not be consistent. There are other verses in the Book of Mormon besides the testimony of the three witnesses that speak of the oneness in purpose of the Godhead, that were left intact, which Joseph Smith apparently felt no need to change. The authors are silent on other Book of Mormon passages which make clear the separate personalities of the Godhead and that have been that way since the first (1830) edition. While Christ visited the Book of Mormon people in America, He said, “Always pray unto the Father in my name” (3 Nephi 18:19). Again while in America Christ said, “I pray . . . that they may be purified in me, that I may be in them as thou. Father, art in me, that we may be one, that I may be glorified in them” (3 Nephi 19:29). In these passages the Book of Mormon is as explicit on separate beings as is John 17:20-22. Elsewhere the Book of Mormon passages sound more like John 10:30, but mean the same. Thus we see that a major doctrinal point the authors claim was changed was not. It was a clarification. This resurrects an old charge against the LDS Church that has been leveled many times. The authors offer no documentation to verify this claim. B. H. Roberts devoted his life to studying the Book of Mormon from every angle. He was undoubtedly one of the foremost defenders of the faith the LDS Church has ever had. As defender of the faith, Roberts sometimes took the role of “devil’s advocate” to encourage Church leaders to find answers to what some of the critics of the Book of Mormon were saying. Since Elder Roberts had a very analytical mind, a letter in 1903 to Church President Joseph F. Smith asking “tough” questions about the Book of Mormon was referred to him. Both the letter and Roberts’ reply were published in the official LDS magazine [Improvement Era, 7 :180-182; also cited in “Defending the Keystone” by George D. Smith, Jr., Sunstone, May/June 1981, pp. 47-48). Elder Roberts recognized that there were some questions difficult to handle and he wanted to find answers so that the LDS Church would have replies to critics when needed. One must keep in mind that many of the Book of Mormon expressions for which supportive evidences have come forth in the last fifty years were considered anachronisms in Roberts’ day. On January 4 and 5, 1922, B. H. Roberts made a two-day oral presentation before the General Authorities “concerning some of the problems” (Truman Madsen, “B. H. Roberts and the Book of Mormon,” BYU Studies, Summer 1979, p. 435). Several General Authorities were assigned to find appropriate answers. “In March of 1922, Elder Roberts prepared a draft of a written report to the First Presidency and the Quorum of Twelve,” with “parallels” from Ethan Smith’s View of the Hebrews compared to the Book of Mormon (Ibid., p. 440). Truman Madsen points out “the report was not intended to be balanced. 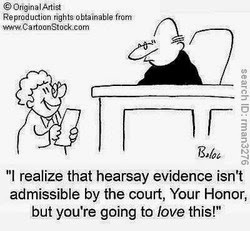 [It was] a kind of lawyer’s brief of one side of a case written to stimulate discussion in preparation of the defense of a work already accepted as true” (Ibid., p. 441). In support of this view in a letter addressed to Elder Richard R. Lyman of the Council of the Twelve, “Roberts expressed his desire to share the ‘parallels’ with the Twelve Apostles so as to prepare the brethren against future problems that might arise” (George D. Smith, Jr., “Defending the Keystone,” Sunstone, May/June 1981, p. 52). The “devil’s advocate” method was often B. H. Roberts’ style. “He was known to turn the tables on young Mormon missionaries and represent the case ‘against’ with crisp skill. . . that tested their mettle.” Elder Roberts was criticized for this approach, but argued it was a good experience and “will open your eyes and deepen your understanding” (Truman Madsen, “B. H. Roberts and the Book of Mormon,” BYU Studies, Summer 1979, p. 439). This approach—used to prepare the president of the United States for a press conference, to prepare a salesman to answer objections—is recognized as a legitimate technique for preparation. No one would consider such briefing papers to represent the position of the one who prepared such papers. Yet in The God Makers the authors have felt they could further truth and objectivity in this selective manner by using B. H. Roberts’ words without placing them in their proper context, even to the point of omitting the disclaimer statement. This tactic is used often by the authors. Elder Roberts said in 1933 that he had “concluded Ethan Smith played no part in the formation of the Book of Mormon” (cited by Madsen, p. 441). Authors Decker and Hunt could at least have quoted one of their favorite anti-Mormon writers who admitted, “It may never be proved that Joseph Smith saw Ethan Smith’s View of the Hebrews before writing the Book of Mormon” (Fawn Brodie, No Man Knows My History, p. 47). 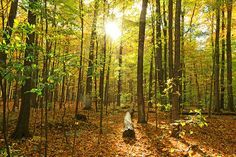 Now, tell me in what church or cathedral in the world, in what sacred grove, in what place among the habitations of men will be found a more glorious Easter vision of the Christ than this? And the world would have lost this if it had not been for the Book of Mormon coming forth and there are a hundred more such glorious things that have come to the world in the book to enlighten the children of men. B. H. Roberts had his problems with some Church leaders. He was chastized several times, once when he ran for the U. S. Congress without getting Church approval, which was expected of General Authorities. Elder Roberts won the election, but suffered the pain of never holding his seat when his peers in Congress refused to allow him to do so because he was a Latter-day Saint. If B. H. Roberts had wanted to turn against the LDS Church, he had every reason to. Madison U. Sowell pointed out that Elder “Roberts’ concern was ever that of defending, not destroying the faith” and charges that he lost his testimony are “denied by his family and existing evidence supports their denial” (“Defending the Keystone,” Sunstone, May/June 1981, pp. 51-52). To exonerate B. H. Roberts is one thing, but did Joseph Smith have access to Ethan Smith’s View of the Hebrews and, even if he did, would this mean that Joseph Smith was the author of the Book of Mormon, as Decker and Hunt maintain? Savage tribes destroyed their civilized brethren in a final battle. In both accounts, sacred records, handed down from generation to generation, were buried in a hill and handed down later. Both books identify American Indians as the tribe of Joseph. Students of the Book of Mormon would agree that the parallels are generally true with slight modification as far as the Book of Mormon is concerned. Roberts pointed out other parallels such as lost books, Urim and Thummirn, and the many Isaiah quotes. 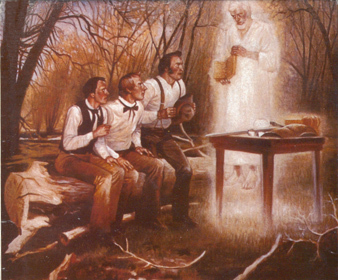 Some LDS views are as follows: There is no evidence that the LDS founder had seen View of the Hebrews and we have already pointed out that Fawn Brodie admitted “It may never be proved that Joseph Smith [had access to the Ethan Smith work].” Geographically it was of course possible that the Ethan Smith work could have been available to Joseph Smith. It would certainly have been normal for Joseph Smith to have read it had he heard about it. In fact in 1842 the LDS newspaper made an allusion to Ethan Smith as support for the validity of the Book of Mormon (Times and Seasons, June II, 1842, pp. 813-814). Articles by Hugh Nibley in a two-part 1959 Improvement Era series said of some of the parallels, “Joseph Smith could more easily have found the material in the Bible” (Improvement Era, October 1959, p. 746). The View of the Hebrews relates to biblical texts and secular and religious investigations into evidence supporting a particular interpretation of those texts, whereas the Book of Mormon is scripture, complete in itself. The View of the Hebrews relates primarily to a people lost in about the year 725 B.C. whereas the Book of Mormon relates to people never lost, but who migrated from Jerusalem a century and a quarter after the “lost tribes” were expelled. The View of the Hebrews is intended as a spur to induce Protestants to engage in proselyting Jews and Indians to Protestant Christianity by contributing to missionary organizations and welfare groups. The Book of Mormon has a purpose identical with the purpose of the Bible, i.e., attestation of the divinity of Christ and the preservation of the records of affairs and teachings in a theocratic system (Madison U. Sowell, “Defending the Keystone,” p. 53). A 1971 master’s thesis by William L. Riley, “A Comparison of Passages from Isaiah and Other Old Testament Prophets in Ethan Smith’s View of the Hebrews and the Book of Mormon, ” definitely shows Joseph Smith “did not use Ethan Smith as a reference for Isaiah passages in the Book of Mormon” (Ibid. p. 54). 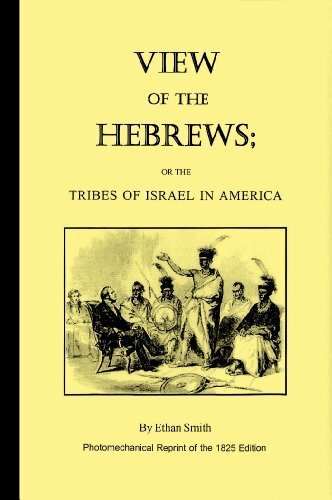 Recently scholars at the Foundation for Ancient Research and Mormon studies have published an article called “View of the Hebrews: An Unparallel,” which points out many items used in View of the Hebrews to support the Hebraic origin of the American Indian. None of this information appears in the Book of Mormon. This study asks that if Joseph Smith had access to View of the Hebrews, why would he “have contradicted and ignored [it] at virtually every turn, if indeed he gave it basic credence?” (F.A.R.M.S. Update, October 1985, pp. 1-2). The authors of The God Makers have ignored the facts in connection with parallels between the Book of Mormon and View of the Hebrews. Neither the LDS Church nor Joseph Smith ever claimed that the Book of Mormon did not have passages similar to and even identical with biblical ones. In fact, for such verses in the Book of Mormon, chapter headings and footnotes invite the reader to compare the corresponding biblical verses. The plates were written in an ancient language (called reformed Egyptian in the Book of Mormon) and the translator, Joseph Smith, put them into the best English of his day of which he was capable. Wouldn’t any good translator put his translation into the vernacular of the people he was translating for? Isn’t a translation considered to be a poor one when it doesn’t use the word order, grammar or language that is currently in common usage? The vernacular for scripture in Joseph Smith’s day was the King James Bible. It is not known whether Joseph was actually told by the Lord the King James wording or whether there is another explanation. Possibly, when the scriptures to be translated were almost identical to those in the King James version, Joseph Smith opened up his Bible and whenever something was close to what these translators had said, he thought to himself, ‘That’s good enough for me.” Latter-day Saints don’t claim to know what happened. It would seem odd for Joseph Smith not to see what the King James translators said when he was covering similar ground on the plates. We do know that the Book of Mormon translation required studious effort on the part of the translator (D&C 9:8). If Joseph Smith had such a “fertile imagination” as the authors suggest earlier, wouldn’t he have been smart enough to paraphrase more, as they suggest on the last two lines of page 112 he should have done? Or if Joseph Smith were perpetrating a fraud, as they claim, why would Joseph with a “fertile imagination” take anything from the Bible at all? He surely knew his work would be scrutinized. Joseph’s “fertile imagination” could just as likely have produced a book without a single biblical quote if he were involved in a hoax, rather than to copy a small fraction from the Bible. And if the Book of Mormon has satanic origins, then why didn’t the devil give a “nonplagiarized” account? Joseph Smith simply translated biblical passages that were on the plates, not because he was running short on imagination; after all, over 93 percent of the Book of Mormon plates are not direct biblical quotes or paraphrases. A 100 percent non-biblical quoting book of scripture wouldn’t have been much harder to produce. Why don’t the authors point out the remarkable differences in Christ’s great Sermon on the Mount that he delivered both by the Sea of Galilee and in America, the Book of Mormon account of which adds greater understanding to this great masterpiece? Why don’t the authors point out that the main quotes from the Bible are from the Old Testament prophet Isaiah? Joseph Smith quotes 433 Isaiah verses of which 199 are word for word, but 234 are different than the King James version. One verse (2 Nephi 12:16) is not only different from the King James version but adds a completely new phrase: “And upon all the ships of the sea.” This non-King James addition agrees with the Greek (Septuagint) version of the Bible, which had not been translated into English in Joseph Smith’s day. All this information about the Book of Mormon is readily available, but has been ignored. One fact remains—the Book of Mormon itself. It has to be explained in some way. At first, hearing about gold plates, angels, the voice of God, all sounds unbelievable. But on careful, thoughtful, sincere reflection and prayerful study of the Book of Mormon, any explanation different than the one Joseph Smith gave is beyond believability. #11: Feelings only for Testimony? How can the book say this when the Book of Mormon’s very existence is an indisputable fact? Missionaries teach that if one will read, ponder and pray about the Book of Mormon, one will be entitled to a confirmation from God. This is combining fact with feeling, not sidetracking “facts and substituting feeling” as The God Makers says. Isn’t the authors’ belief that one has achieved a guarantee of eternal life merely a strong feeling? 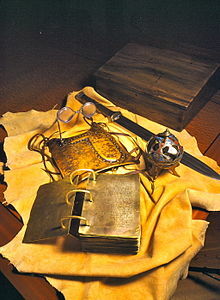 Although its origin may be disputed, the Book of Mormon is a fact. I’ll stop there. I’ve only shared a fraction of the claims and responses. But you get the idea. I’ll repeat, those that familiarized themselves with the claims of The God Makers saw little new from the CES Letter. Indeed, all of Decker’s material was in the ex-Mormon subreddit. That is where Jeremy found all this information. It wasn’t new at all. Jeremy (and members since) simply didn’t know about it. Geoff Biddulph is a convert to the Church of just over 15 years. Before joining he read a lot of anti-Mormon literature. However, it was the Spirit that converted him and helped him be open to being baptized. Since then, Geoff has read the book of Mormon more than 10 times and have read the entire Bible at least five times. 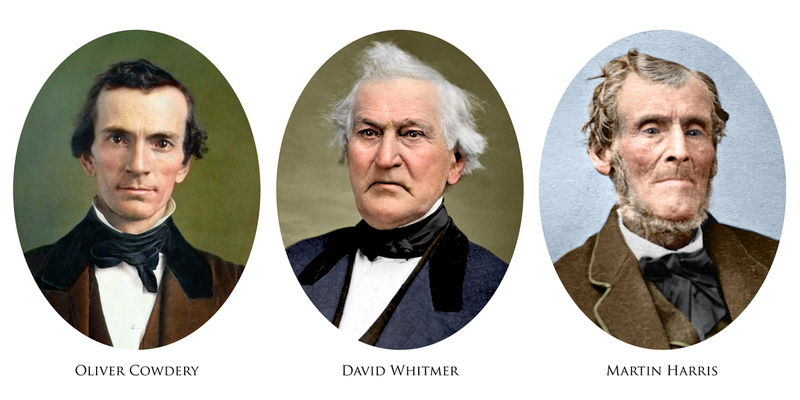 Three prominent Latter-day Saints left the Church. Years later they returned. Each story of deconversion and reconversion is very unique. on the left: Maxine Hanks; related to Marion G. Hanks; was excommunicated as one of the “September 6” in 1993; was out of the LDS Church for 20 years; 1/2 of life in the Church, 1/2 of life out of the Church; feminist who has authored or co-authored several books including Women & Authority: Re-emerging Mormon Feminism, Mormon Faith in America, Getting Together With Yesterday, A History of Sanpete County, and was a contributor to Secrets of Mary Magdalene, Religion in America, and Latter-day Dissent. Patrick Mason — author of Planted — discusses belief and doubt.